The competition in blogging is increasing day by day and to rank better on SERP (Search Engine Result Page) many bloggers find quick ways. For example, they make spammy backlinks, they just copy others content rewrite it by using tools to grow faster but Search Engines hate these techniques to grow faster. Google sometimes penalize your blog and sometimes even banned you from getting the approval of Adsense. And if you get banned you have to start your struggle again from zero or you just left blogging. 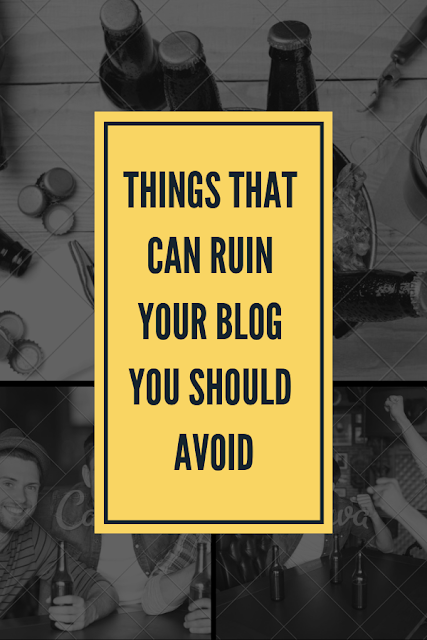 In this blog, I will cover each and everything that can ruin your blog or the things you should avoid. 1. Vain Backlinks:Many new bloggers consider greater the number of backlinks means more ranking and they start making backlinks even on spammy websites. But remember after the new updates of Google, blogs with fewer backlinks are getting ranking over the blogs with a higher number of backlinks. 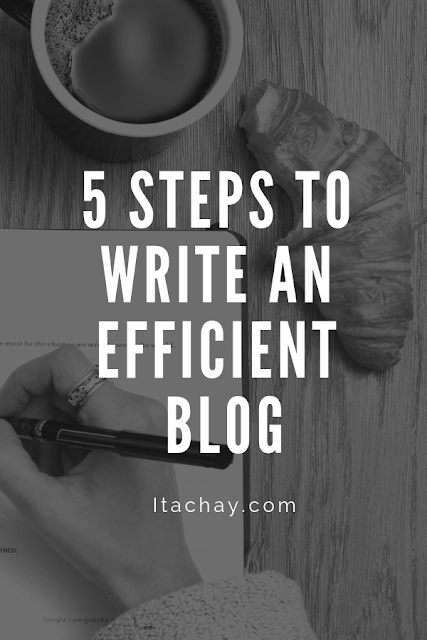 When it comes to blogging, every newbie has tons of questions in mind i.e how to write an effective blog? How to grab audience attention? How to create backlinks and rank on Google? etc. A lot of time of beginners is spent on searching such type of content on the internet. To be honest, blogging is just like swimming. If you want to learn swimming, every expert around you can tell how to get into the water and how you can survive by following the instructions but you cannot become expert to it by just having familiar to the rules, you have to dive into the water to get experience. These experiences will make you to get familiar to the obstacles and to improve your skills, same applies in case of blogging. Whenever a user visits your blog and left immediately your bounce rate increases. Google calculate it before giving ranking to any web page to ensure that it is ranking best content for their users. Bounce rate tells Google about the quality of any page. If a user left any page within seconds Google considers it in a way that your page didn't have good content for the users so that a user left it. When the Google records the same attitude from many users that the users just left the page within seconds without reading it, Google de-rank the page. If your blog has bounce rate in a percentage ranging from 26 to 40 then its excellent, 41 to 55 is roughly average, 56 to 70 is higher than average and if you have bounce rate greater than 70 then it's disappointing. You have to follow some techniques to decrease it. 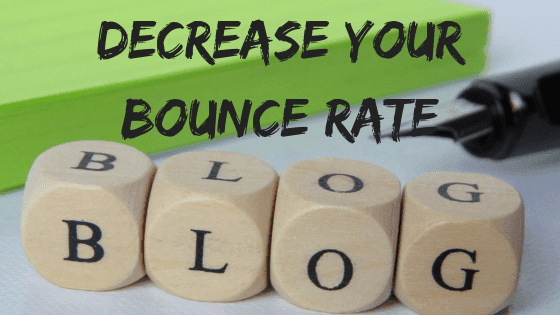 In this blog, you will get everything about how you can decrease your bounce rate. Adding alt text to images in Blogger blog post is very good idea. Many bloggers miss this step by considering it unimportant and focus on making backlinks but this is an important factor of On-Page SEO. After the new updates of Google, On-Page SEO is likely to have more worth than Off-Page SEO. Blogs are ranking well even with zero backlinks but having good On-Page. 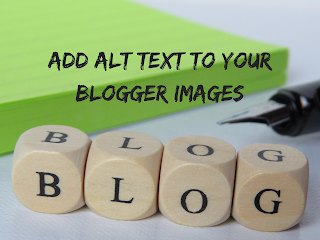 In this article, you will get the complete idea of alt text and how to use it for better ranking and the different ways to add alt text to images in Blogger. Search engines consider the article with more images a good one and give better ranking than those articles which don't have images in them. Everyone knows this quote "A Picture is worth a 1000 words." So using more relative images in a blog post is good.